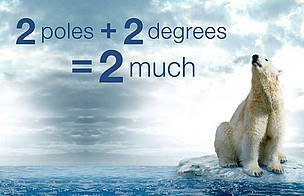 2 poles + 2 degrees = 2 much! A new WWF publication highlights the two main mechanisms by which the poles drive the planetary climate system, and thus the reasons why changes in the polar regions have major consequences for every country in the world. The signals coming from both poles are clear, observable and scientifically validated: man-made climate change is causing warming. This is a major concern for the peoples and ecosystems of the north, and for the unique Antarctic ecosystems. Climate change has brought new species to places they have not been before, stressed existing species, and raised concerns about potential extinctions and sweeping changes to natural systems. 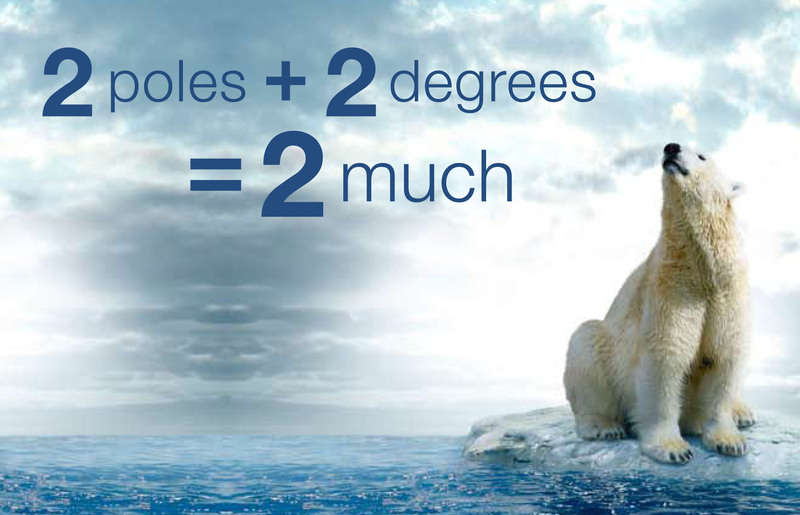 But the polar effects are only the tip of the iceberg. Change already being seen at the poles will unleash a cascade of predicted wrenching climate change effects that will envelope the entire planet, unless the governments of the world unite for swift and decisive action.